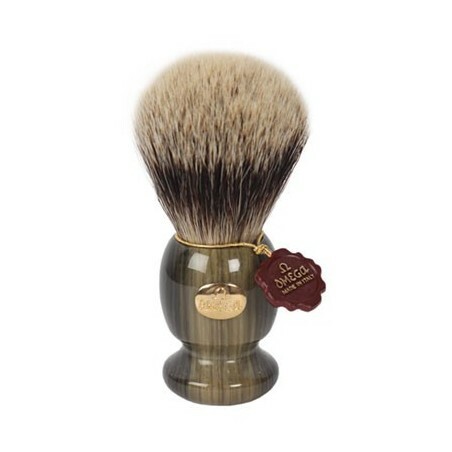 Omega Super Badger Shaving Brush 6215.Super badger hair is a high end badger hair when ot ocmes to soft tips. Just a little step below silvertip badger hair. An elaborate finish to ensure all hairs have the same length manually done. 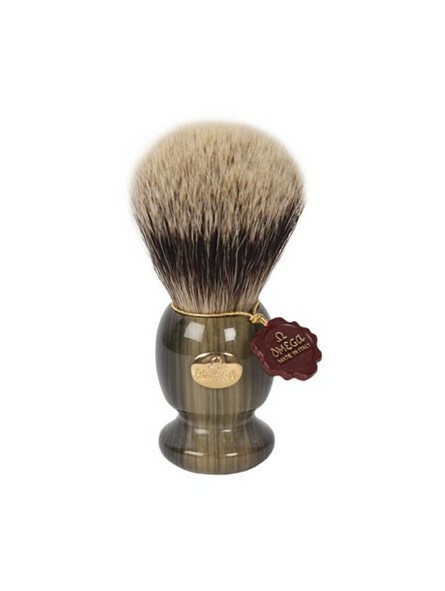 6215 Omega shaving brush is offered with a Faux Jade acrylic handle. A classic design with the elegance of the Italian designs.